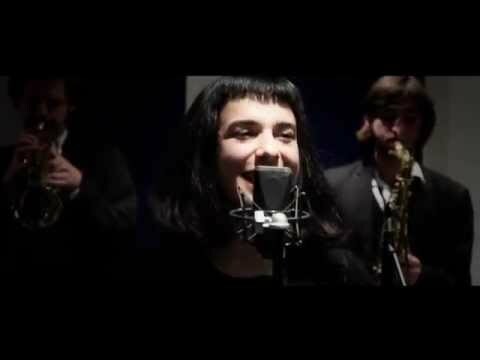 The Brasstones are a unique London based vocals + brass band, performing the best of Jazz, Pop/Funk and Balkan Gypsy music with creative original arrangements. The band is fronted by the soulful vocalist Maya Rivic and the drums, tuba, and brass bring the party rhythms and riffs. Performing such a range of music makes this truly individual band ideal for either a specialist themed event or just a great party atmosphere. Have a look on the 'setlist' tab above to get a flavour for all of the genres they will cover. The Brasstones consist of some of the finest young musicians coming from renowned music schools such as the Guildhall School of Music and Drama, Trinity College of Music and Middlesex University. They offer a number of set packages and can also tailor a bespoke package for your event. Ranging from a one hour acoustic brass band performance to a combination of afternoon acoustic set plus a full evening's worth of entertainment. They can even add a DJ service on top of all of this. Whatever the event, they have it covered. To find out more about this great band then enquire now or add them to your shortlist. Sorry, The Brasstones doesn't have any photos right now Send us an enquiry and we'll get back to you, or check out the rest of the act profile. Sorry, we don't have a setlist for The Brasstones yet Send us an enquiry and we'll get back to you, or check out the rest of the act profile. Fantastic, punctual and fun band thank you and we will hopefully see you again soon. The music was absolutely perfect! Everyone commented on the quality of your work.